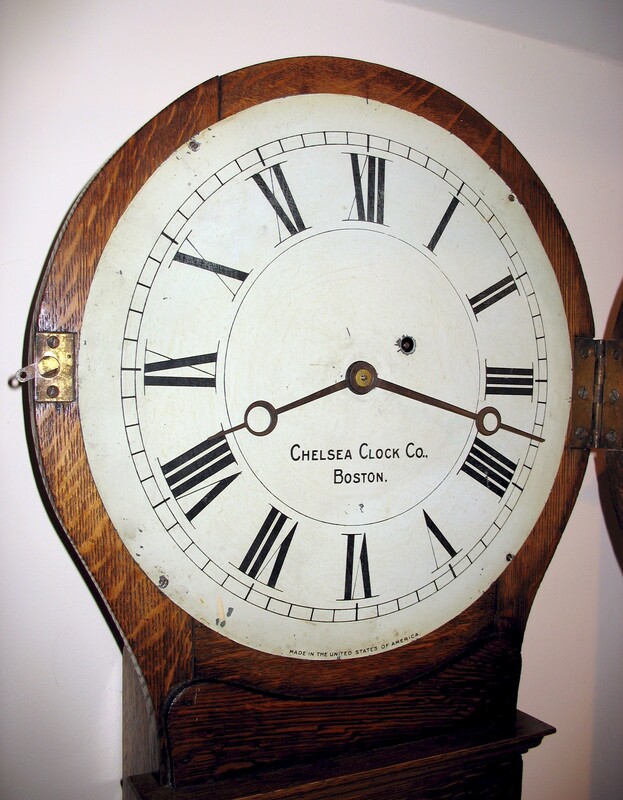 In the early 20th century, these wonderful wall clocks were purchased in large numbers by the Boston and New York City public school systems. Now, they are sought-after collectibles! 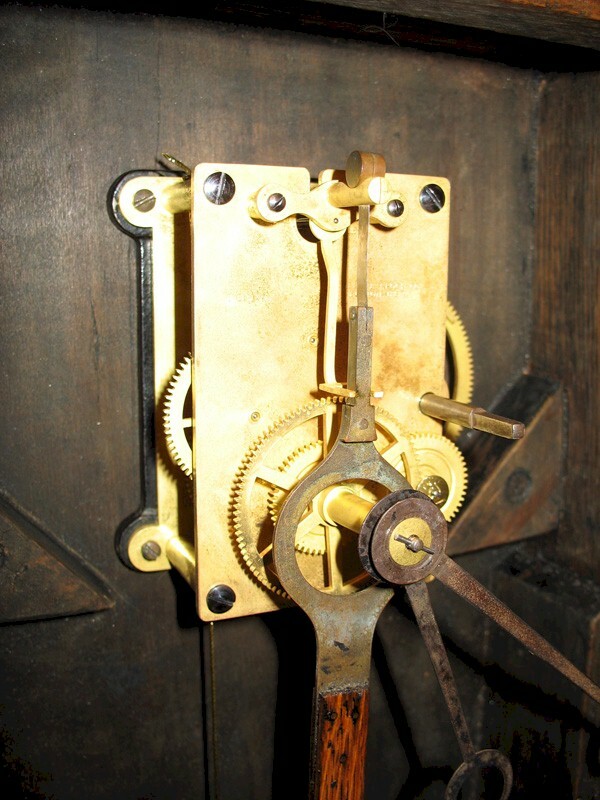 This clock has a weight-driven, eight-day running, time-only movement (at left). 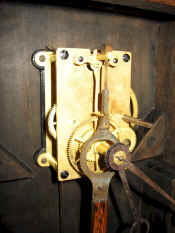 The movement is original to the oak case as are all other components, including the weight. 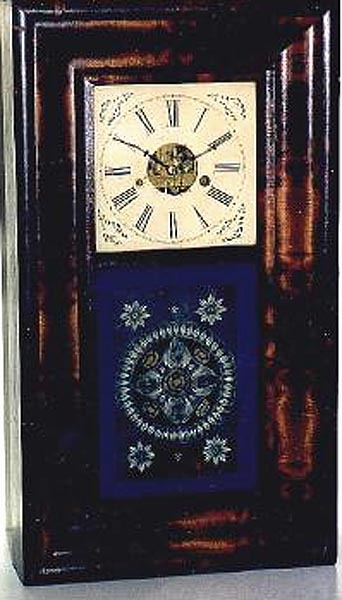 The 12-inch diameter dial (at right) retains its original painted surface. 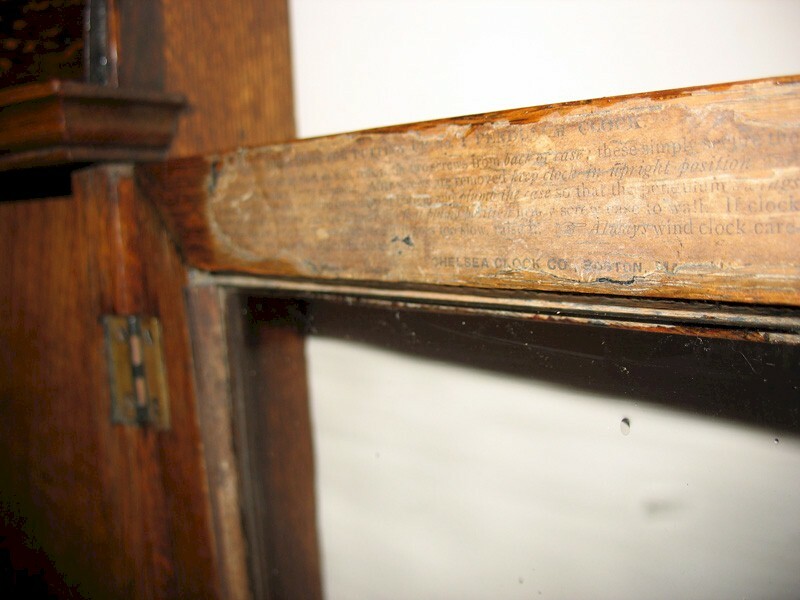 And the original instruction label (at left) can still be read inside the lower door! This clock is in excellent condition overall and runs very well.